Awaken your senses with an impressive array of gardens. 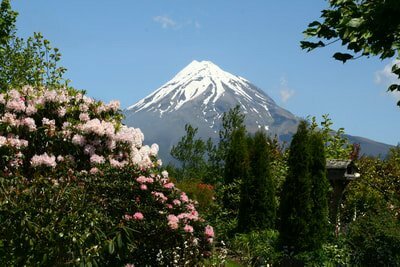 The Taranaki Garden Spectacular showcases a dynamic display of private & public gardens and we plan to visit as many as we can over the four days, including the world-renowned Pukeiti. Journey with us to one of the most unspoiled places you will ever find; an amazing island full of native flora and fauna, some unique to this special place. Escape to tranquillity – escape to Great Barrier Island! While on the island enjoy a full day touring visiting sights including Tryphena Harbour, Claris, Glenfern Sanctuary and much more. It is understood by Leisure Time Tours that the terms and conditions of travel are accepted by the passenger when the required deposit has been paid. A deposit per person is required on booking to confirm the seat at the time of booking. All balance payments must be received by the agent no later than 45 days prior to tour commencement. Leisure Time Tours reserves the right to amend or reschedule the tour due to the result of circumstances outside the company’s control. Leisure Time Tours also reserves the right to cancel the tour due to insufficient numbers and in this instance a substitute date will be offered or a full refund will be made available. Leisure Time Tours strongly advises all passengers to purchase a travel insurance policy. An important part of planning the holiday is to purchase a comprehensive travel insurance policy as it may prevent passengers from spending extra money in case of an emergency and will help passengers feel protected during the holiday. Prices were correct at the time and date of printing, however Leisure Time Tours reserves the right to amend the price subject to any changes in price imposed by other tour operators and carriers included in the itinerary or major fluctuation in the exchange rates, or increases in government or other levies. 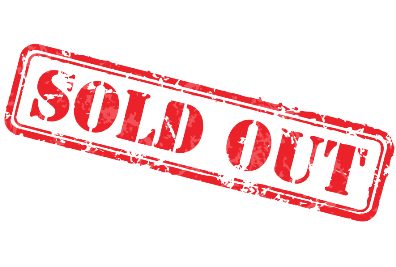 The final tour cost will be guaranteed not to change once the full and final payment has been received. Tour Price excludes drinks, telephone calls, travel insurance and items of a personal nature. Itineraries were correct at the time of printing, but are subject to change without notice. This could come about due to road or weather conditions, or any changes imposed by other tour operators and carriers included in the itinerary. If a passenger amends their itinerary by starting or concluding the itinerary earlier or later or during an itinerary then it becomes their responsibility to arrange tour or flight connections as necessary. Leisure Time Tours does not operate the attractions mentioned in our optional touring brochure, therefore will not be responsible for any injury, actions, loss, damage or acts of negligence committed by the operators mentioned in this brochure arising from these attractions. Passengers may opt for a guaranteed single room by paying the single supplement. 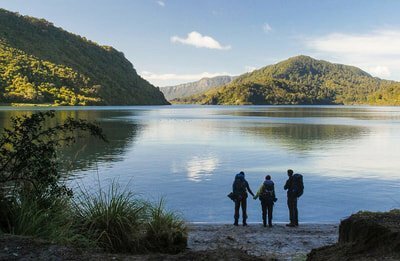 Our Guaranteed Twin Share price is available on all our New Zealand escorted tours for those passengers willing to share with another single traveller of the same gender. If there isn’t another passenger of the same gender to share with we guarantee our twin share price. Leisure Times Tours accepts no responsibility for the compatibility of passengers travelling under this arrangement. If someone is not compatible with the person they have been matched up with, all additional costs incurred to assist with changing their room type to a guaranteed single room will be at the traveller’s expense and will be subject to availability. Acceptance of a guaranteed twin share basis is subject to the individual’s medical condition being suitable for this type of arrangement. For single passengers travelling on our off shore tours, passengers may wish to travel in a twin room with another passenger of the same gender then smoking is not permitted in their room. If someone is not compatible with the person they have been matched up with, all additional costs incurred to assist with changing the room type to a guaranteed single room will be at the passenger’s expense and will be subject to availability. Acceptance of a twin share basis is subject to the individual’s medical condition being suitable for this type of arrangement. Passengers should be in good health and able to walk moderate distances to fully appreciate all of the sightseeing opportunities in the itinerary. By paying the deposit passengers acknowledge that you are of reasonable health and are considered to be fit to travel, and are not travelling contrary to medical advice. Leisure Time Tours reserves the right to cancel a booking or to remove a passenger from a tour if their health or fitness interferes with any other passenger’s experiences or the day to day running of the tour. Passenger’s bringing a quantity of medication with them are advised to carry a doctor’s certificate to avoid possible problems with customs officials. Doctor’s prescriptions are needed to obtain certain drugs in both Australia and New Zealand. When you book with Leisure Time Tours, it is a Leisure Time Tours Consultant who co-ordinates all of your travel; as a New Zealand based tour operator we are available 24 hours a day 7 days a week to offer you support throughout your tour. Passengers can be assured that you will be travelling in a modern luxury tour coach. They are of high quality and extremely well maintained. Passengers rotate seats in the coach daily so that all passengers have the opportunity to enjoy forward and window seating. All passengers are expected to participate as a booking condition. Every passenger receives a complimentary travel kit including a travel bag, travel wallet, NZ map, luggage labels and a name tag. We also provide roadside morning teas from the coach when possible, offering passengers the opportunity to mix and mingle. Our tours now offer Travel Club Member prices, so if you wish to qualify for the member prices, ask about joining our Travel Club today! Leisure Time Tours offers a free home collection and drop off service from selected areas. Our complimentary collections are based on your individual postal code, and if you are outside of these areas. New Zealand airport transfers are included on all of our Tours. If however passengers have made pre/post tour arrangements outside of the itinerary then transfers are not included. Although every effort is made to handle guests luggage carefully, we cannot be responsible, assume liability or accept claims for loss or damage to luggage and personal effects due to breakage, theft, or fair wear and tear through hotel, airline and group carrier handling. Therefore, it is important for protection that passengers make certain they have adequate travel insurance to cover these eventualities. Each passenger will receive a complimentary Leisure Time Tours Travel Kit. This will include a Travel Bag for carry on baggage. Please note that this bag and contents must not weigh more than 7kgs (15lbs). Within the travel wallet passengers will find luggage labels and a name bar. 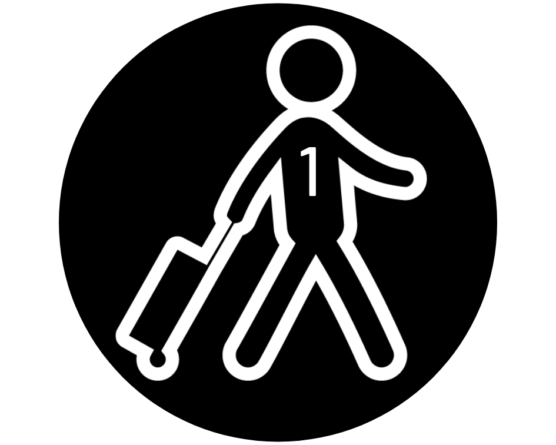 Please ensure that the luggage is properly identified with these luggage labels. We encourage passengers to wear their name bar at all times on tour as it enables airlines and tourist operators to identify that passengers are part of our group. It is also much easier for other passengers to identify and to get to know each other. Due to space limitations aboard the motor coaches and the on-tour flights used in New Zealand, each passenger is permitted only one average-sized piece of checked baggage weighing a maximum of 20kg (44lbs), plus their carry on luggage in the Leisure Time Tours Travel Bag provided. Passengers will find casual clothing of all types comfortable and relaxing. Lightweight drip-dry clothing is ideal. Warmer clothing for evenings will be handy. As New Zealand can experience ‘four seasons in one day’ layering is key. Regular laundry facilities are available throughout the tour. For special dinners many guests like to dress up, but by all means be comfortable; on the remaining nights “smart casual” is suggested. We recommend that passengers pack their prescription medicines (an adequate supply to last through the journey) along with the travel documents and a change of clothing in the carry-on bag to avoid any inconvenience in the event that a flight or luggage is delayed.